Black and white are opposites on the colour spectrum, psychologically, black is said to create protective barriers as it absorbs all the other colours of the spectrum. Personally I would not recommend using black in large blocks of colour. Small items carefully placed or a combination of black and white can be used to create a contemporary or traditional look. Black alone can be oppressive and certainly will make a room appear smaller, however combine it with white and you can achieve a stunning interior. 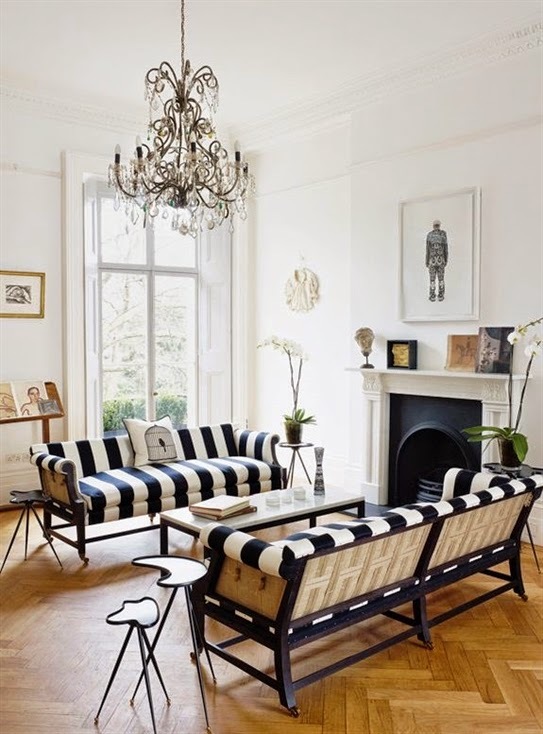 Take it one step further and combine black and white as a striped combination, and you can create sophistication, make a bold statement or pare it down to a simple country feel. Rule of thumb is the wider the stripe, the bolder and more contemporary your design will look. If you use a narrow vertical stripe you will achieve a more traditional appeal. In saying this, if the stripe is used horizontally you will achieve a contemporary look. These two colours, or rather "lack of colour" are a decorators power tool, and from bold to understated elegance, these images clearly illustrate my point. 2. Above: Bold stripes make a statement in this narrow toilet. 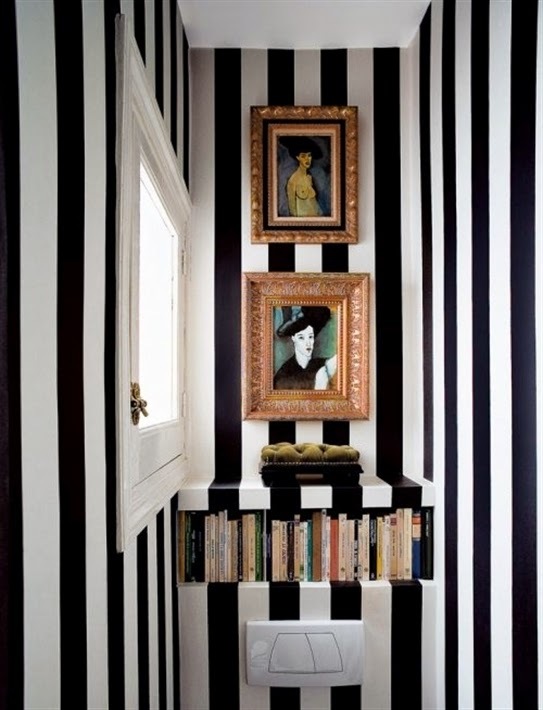 Stripes such as these will make the area appear narrower, however they add a powerful punch to this space. The toilet cistern has been cleverly hidden and includes a built in book shelf. The addition of the impressionist style art, adds a classic French touch. 3. 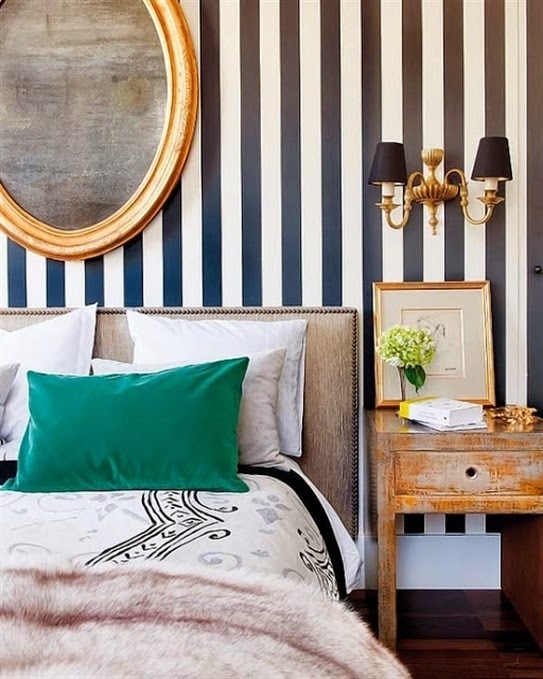 Above: Black and white stripes are used in a bold, masculine way in this interesting bedroom. To counteract this powerful combination in a small area, the designer has made use of a cleverly designed mirror above the bed. 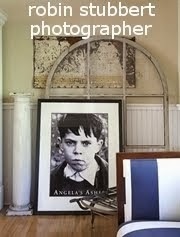 Overall, this room has classic appeal. 4. Above: I love these simple stripes. 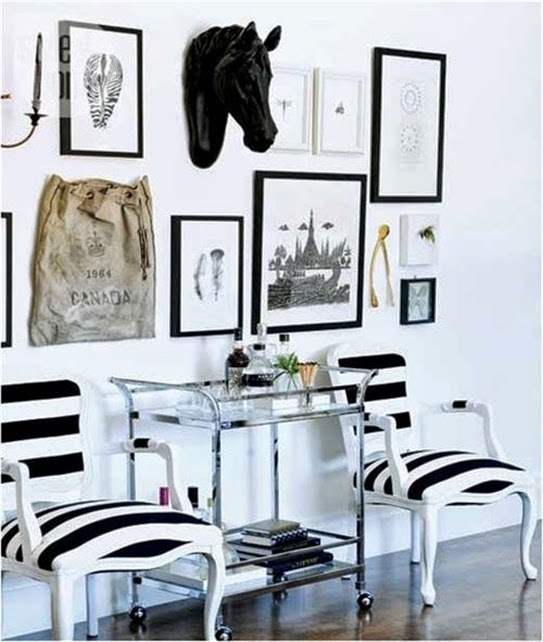 Narrow, black and white striped slip covers add elegance to the wooden chairs in this somewhat eclectic mix of design. 5. Above: Overall a contemporary feeling is evoked in this setting. 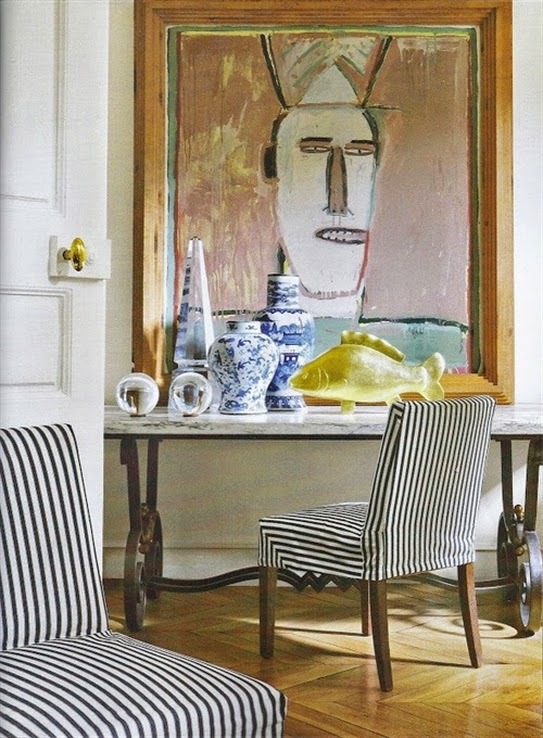 Black and white stripes are used horizontally on French style chairs, adding a contemporary touch. Combining black and white with steel and glass adds a cool air of sophistication. 6. 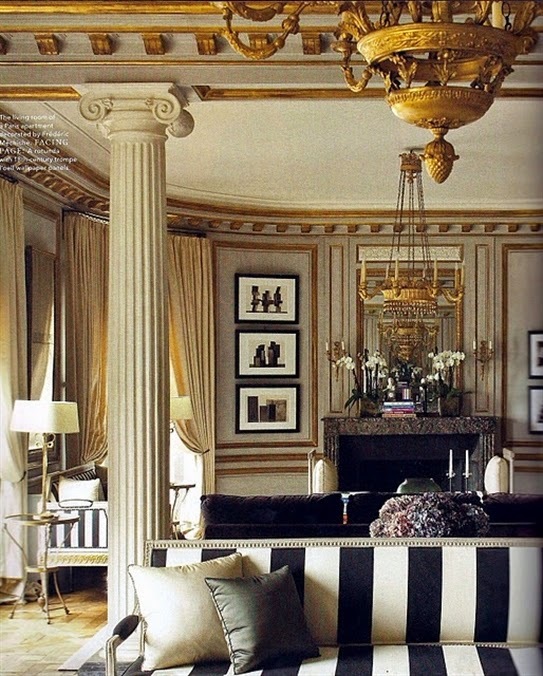 Above: Medium stripes inject a classic look to this interior. A combination of materials such as the studded headboard, velvet cushions, texture of the fur throw and weathered, wooden side tables, combine to create an interesting but welcoming bedroom. 7. Above: This interior has a simple, Scandanavaian appeal. 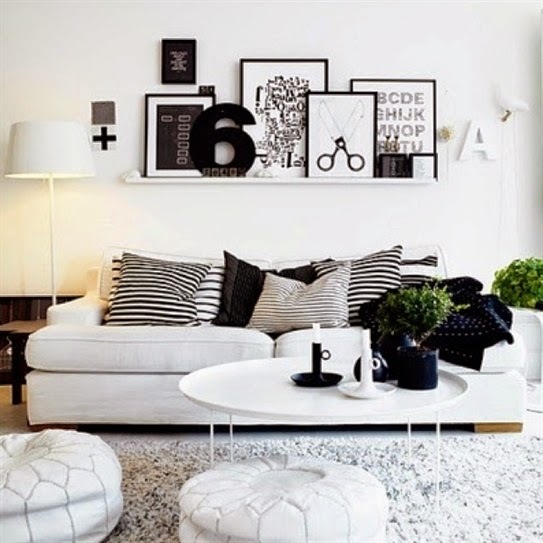 Black and white cushions are the easiest way to introduce this powerful combination of pattern to your home. 8. Above: A stunning interior with its graceful columns, marble fireplace and opulent gilding on the ceiling could make it a difficult space to furnish. One can imagine it would be hard to draw the eye away from the architecture of this room. However, the interior designer has chosen a wide stripe to upholster classically designed sofas, enabling them to make a statement in this opulent space. As you can see, black and white stripes have a powerful effect. 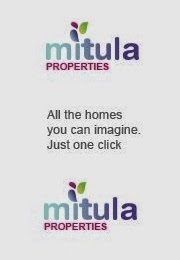 I would love to know if you have used this combination in you own home and the effect it has brought to your interior? On the home office front, my walls are finally painted... yes! I finally found the perfect shade of grey, (another post). My Kauri table has had a complete makeover, and I might add, is looking fabulous. Unfortunately I won't have all my furniture in place by next week, however I will share the re-finishing steps of my desk and some progress shots of the room. 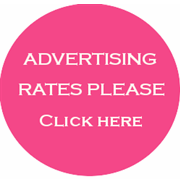 If you don't want to miss out, feel free to sign up below for posts direct to your inbox. I love black and white too, Lee! Tbank you for always leaving such nice and supportive comments, you are such a nice blogger and I'm so glad to know you. I hope that things continue to grow for you too all the way in New Zealand. Your blog is so pretty and I know you put a lot of effort into it as well. Blogging seems to be continuing to grow and I'm so happy about that. Thank you so much Rhoda for those kind words and I think the same about you. It is lovely making friends with other bloggers and I am really pleased that your blog is growing so much. 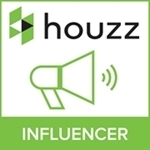 Yes I agree bloggers are now being taken seriously as to be honest, we reach a worldwide audience and it is a powerful marketing tool for businesses to use. I love keeping up with your blog business and finding out all the exciting things you have coming up.